Our goal is to come alongside parents to help them guide their children into a faith that is all their own: “Work out your salvation with fear and trembling, for it is God who works in you.” (Philippians 2:12-13). We have fun and camaraderie, seeking to fulfill Jesus’ words that “all men will know that you are my disciples, if you love one another” (John 13:35). We have outings and special activities as well. But we are not afraid to let young people wrestle with thorny issues as they study the Bible, and we spend time praying for each other and helping one another listen for the Father’s voice. God promises, “I will pour out my Spirit on all people. Your sons and daughters will prophesy, your old men will dream dreams, your young men will see visions” (Joel 2:28). 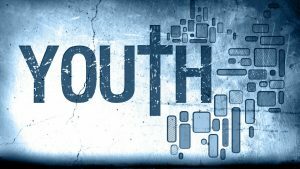 Hearing from Jesus for yourself and for each other is part of maturity in Christ, in being conformed to His image, and youth group offers a safe place to practice and grow in these gifts. The ideal outcome? “Don’t let anyone look down on you because you are young, but set an example for the believers in speech, in life, in love, in faith and in purity” (1 Timothy 4:12).